In the remote city of Harbin in northeastern China, a grand synagogue has endured for over 100 years. Like the Eldridge Street Synagogue on Manhattan’s Lower East Side, it stands today as a symbol of another time. But, at the turn of the 20th century, it was the center of a thriving Jewish community in China. Attracted to work on the new Trans-Siberian Railway, immigrants traveled to this small fishing village in the 1890s. For Jewish emigres, Harbin offered a chance to live without the restrictions imposed on them in the Russian Empire. In short order, industry and the prospect of new freedoms transformed Harbin into a thriving city. It became home to many Jews as well as non-Jewish Russians, Chinese, and other groups – all living in one city but maintaining their own culture and customs. For Jewish residents, Harbin was a hospitable home until world events intruded. By the early 1960s, the last Jewish families had relocated, and their synagogues, schools, and other landmarks languished in disuse. Today, a new appreciation for Harbin’s Jewish history has emerged. The grand synagogues have been restored and many sites of Jewish community are commemorated with plaques and other memorials. It has become a treasured element of Harbin’s own story. The exhibition is presented in two parts. The first uses historic photographs and the stories of three American families with Harbin roots to construct a timeline of the rise, fall, and reemergence of Harbin’s Jewish culture. 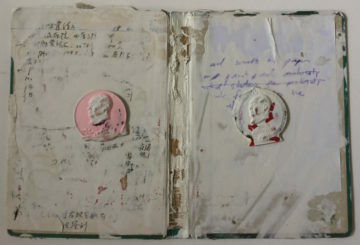 Steve Lane, Artist writing, Culural Revolution book, paint, paper, metal. 2012. The historic exploration is paired with a section of contemporary art by Steven Lane. Lane is a New York artist with family connections to Harbin. He has been making art alternately in Beijing and Harbin since 1985. 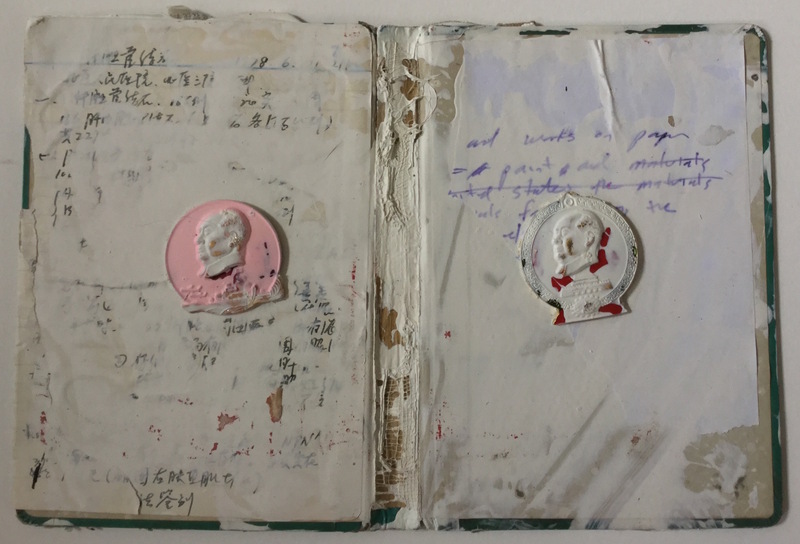 Lane’s art in this exhibition focuses on his painting over and reusing of originals and copies of Chinese newspapers, posters and books from the 1960s, which he purchases from markets in Beijing and Harbin. In Harbin, he often uses the former synagogues as temporary studio spaces. 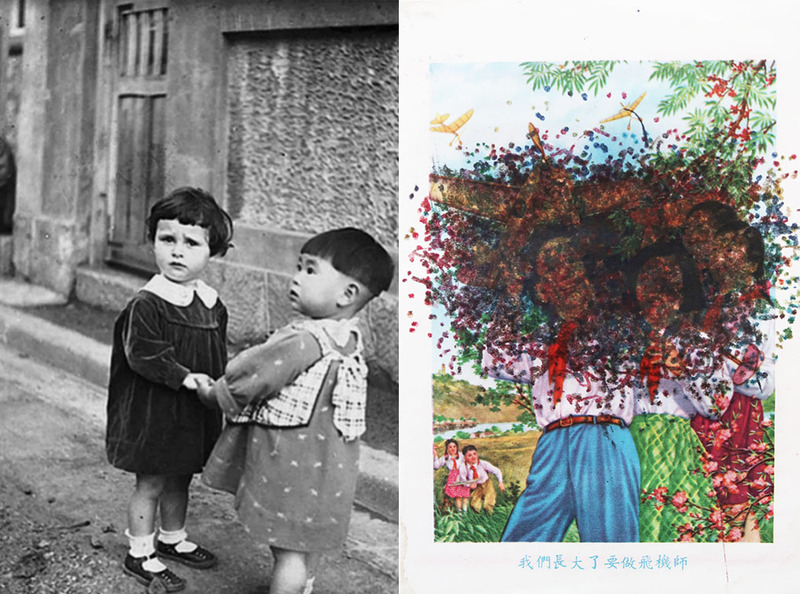 Together, the exhibition considers the development of a large Jewish community in China, its dispersal, and the far-reaching effects for its inhabitants, their descendants and a contemporary American artist. Harbin, China | Past/Present is on view during all Museum hours and included in the price of admission.